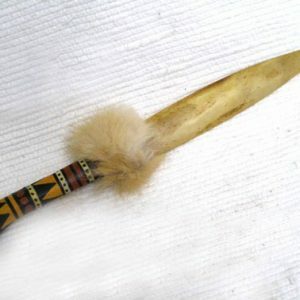 This beautiful knife is made by Navajo artist Cybill Smith. 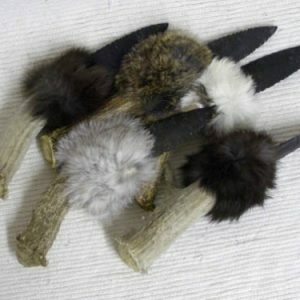 The black blade is made from a bone & resin compound which makes it super light weight. 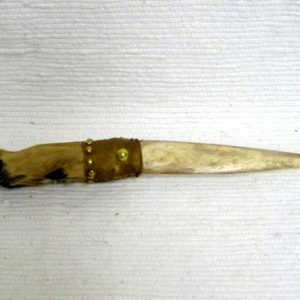 This knife is more for show & should not be used except maybe as a letter opener. 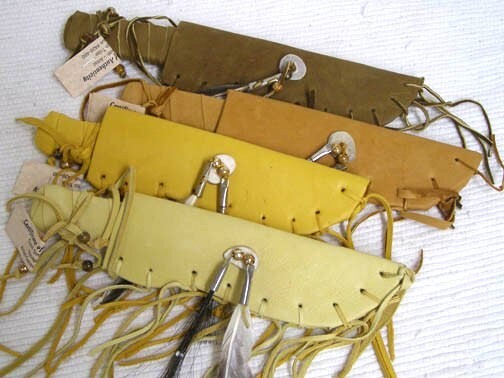 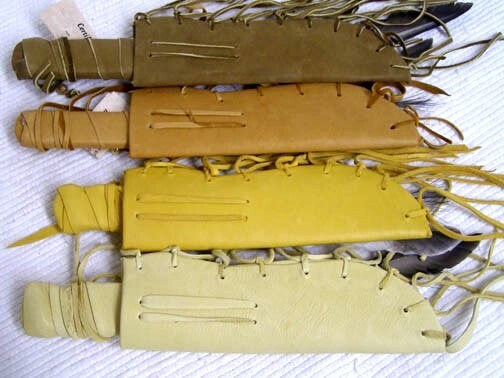 It comes with a beautiful buckskin leather sheath decorated with an antler button, horse hair, feather accents & leather fringe. 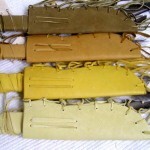 The back of the sheath is made for belt slide on. 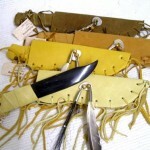 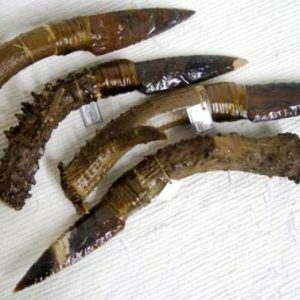 This knife is available in four colors; ivory, gold, tan(light brown) or old style(antiqued). 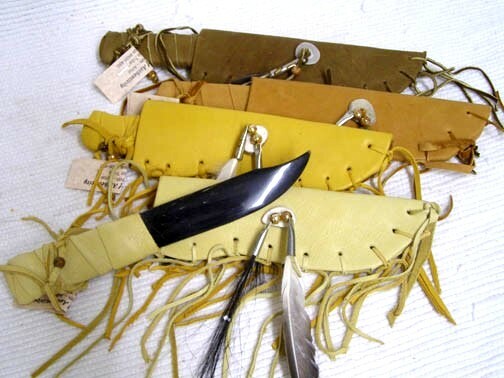 This knife measures 9.5 inches in total length.